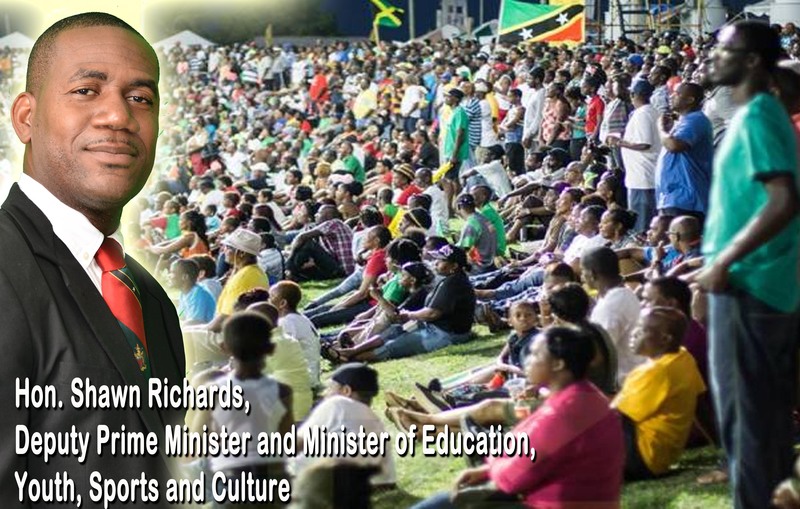 Basseterre, St. Kitts, December 22, 2015: The Government of St. Kitts and Nevis has released independently verified figures from this year’s staging of the Caribbean Premier League (CPL) which shows an economic impact of over US$20 million as a result of the CPL matches hosted at Warner Park in July 2015. The independent study, carried out by SMG Insight, also showed that the Caribbean Premier League organisation increased its direct operational spend into the St. Kitts and Nevis economy by 2.4% to US$1.36 million in 2015, generating and supporting 243 jobs on the island. The sports tourism potential of CPL was further highlighted by the independent report which showed a total incremental expenditure by spectators and tourists of almost US$4 million in 2015, and resulted in occupancy of 4,461 hotel room nights on the twin islands – an increase of 39% on the previous year’s figures. Over 93 million cricket fans around the world watched the Hero CPL, up from 65 million in 2014, and matches played at Warner Park accounted for 29.4 million of CPL’s global audience – 31.5% of the tournament’s total 2015 TV viewership. St. Kitts and Nevis received the equivalent media value of almost US$6 million an increase of 40% from 2014 – much of which has come from the launch of the new Patriots team which narrowly missed out on the semi finals this year. In total, CPL’s direct economic impact for St Kitts and Nevis increased by 34% year on year. Speaking on behalf of CPL, Pete Russell, COO of Caribbean Premier League said: “The Government and franchise owners in St. Kitts and Nevis have shown fantastic commitment to CPL and we are delighted to see such a positive economic impact being delivered to both St. Kitts and Nevis. 2015 was a watershed year, with the launch of the St. Kitts and Nevis Patriots team and we are grateful to Minister Richards and all his cabinet colleagues for making the hosting of a team in St. Kitts and Nevis a reality. We have already seen some exciting future plans for both Warner Park and the Patriots team and we have no doubt that we will see a packed Warner Park Stadium when the 2016 Tournament gets underway in June next year. CPL 2015 generated a significant global TV audience viewership of 93.2 million in 2015, up from 65.8 million in 2014. Matches played at Warner Park accounted for 29.4 million global audience viewers (31.5% of total CPL2015 viewers). Total attendance at Warner Park exceeded 38,800 spectators. Operational Direct Spend into the economy by the Caribbean Premier League increased 2.4% to US$1.36 million in 2015, generating and supporting 243 jobs on the island. Total incremental expenditure (spending by spectators and tourists) was US$3.98 million in 2015, and resulted occupancy of 4,461 hotel room nights. The Hero CPL returns in June 2016 with more high-octane action and entertainment featuring the biggest stars of T20 cricket.